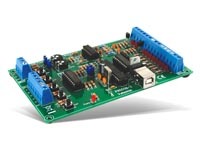 The K8055 interface board has 5 digital input channels and 8 digital output channels. 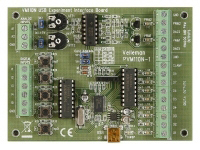 In addition, there are two analogue inputs and two analogue outputs with 8 bit resolution. 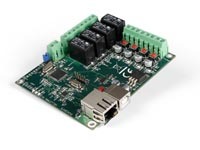 The number of inputs/outputs can be further expanded by connecting more (up to a maximum of four) cards to the PC's USB connectors. 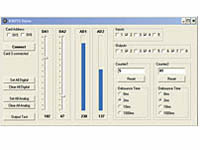 All communication routines are contained in a Dynamic Link Library (DLL). 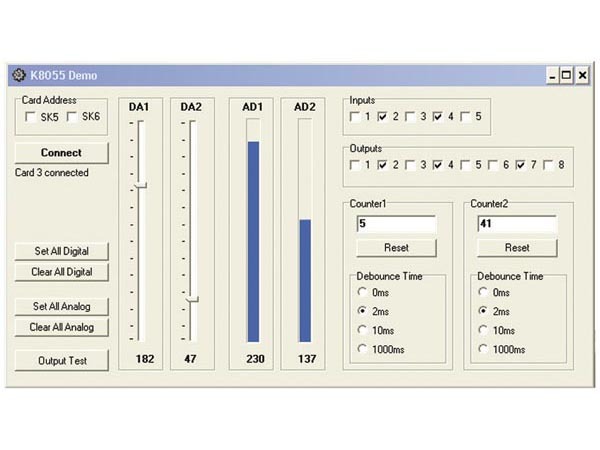 You may write custom Windows (98SE, 2000, Me, XP) applications in Delphi, Visual Basic, C++ Builder or any other 32-bit Windows application development tool that supports calls to a DLL. 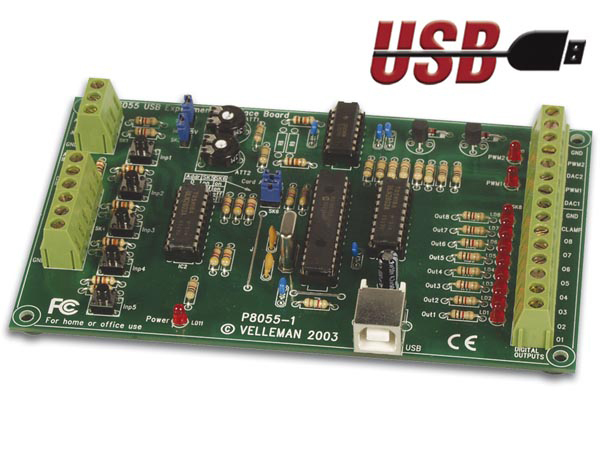 dimensions: 145 x 88 x 20mm / 5.7 x 3 x 0.8"
This is an Android version of the demonstration app used for the Velleman K8055, K8055N, VM110 & VM110N USB Experiment Interface Board. 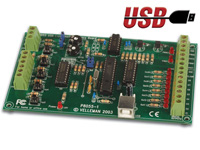 Students who are already working with the Velleman K8055 Experiment board will benefit from the plug-in for IPEmotion measurement software..
See how easy it is in this Youtube video!